Goulburn is a regional cathedral city which is situated in the Southern Tablelands of New South Wales, Australia. The city of Goulburn is a part of the Goulburn Mulwaree Council. 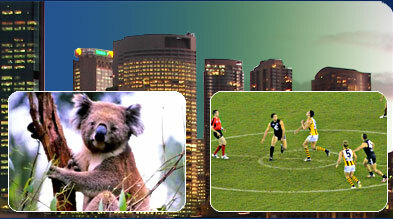 The city is known as “Australia’s first inland city”. Goulburn lies very close to the Hume Highway in southern New South Wales between Yass and Mittagong. It lies on the confluence of Wollondilly and Mulwaree Rivers. The Aboriginal name for Goulburn was Burbong. Goulburn was initially inhabited by Gandangara tribal people. The British Government acquired ownership over New South Wales in the year 1788 and made land grants to local people. George Johnson bought the first piece of land between 1839 and 1842 and he played a significant role in the development of the city. Goulburn was declared as a municipality in the year 1849 and in 1863 became the first inland city of Australia. The city has witnessed tremendous growth in the last 170 years and has come up as a place of diverse activities. Goulburn has a tropical type of climate with average summer temperatures ranging up to 27ºC or more. During winters, the temperatures drop down to 11ºC and average annual rainfall in a year is about 616.5mm. The city also experiences a brief period of frost and ice during which temperatures drop down to 0ºC. Goulburn is accessible through the Goulburn Regional Airport which is very close to the city. There is an extensive rail network which has regular rail services to Sydney, Canberra and Melbourne. The road network of Goulburn is also well-developed as it is located very close to the Hume Highway, 192 km of Sydney. The port Kembla and Port Botany also serves the city of Goulburn. Goulburn has many museums which emphasize on the cultural scene of the city. St. Clair Local History Museum and Archives, Rocky Hill war memorial and Museum and Goulburn Historic Waterworks Museum are some of the exotic places of cultural interest. The artistic community is thriving with traditional and performing artists. Goulburn has many local shops and shopping areas from where one can buy the local artifacts and handmade items. The city of Goulburn also has many restaurants which offer excellent cuisines at highly affordable prices. Some of the most well-known ones are Cascades Restaurant, Billabong Station Restaurant, 147 Restaurant, Clancy’s Bar and Grill, Goulburn Chinese Restaurant, Goulburn Italian Pizza Restaurant, Khon Thai Restaurant, Indian Curry Palace Restaurant and many others.